Back on market -Buyer walked. 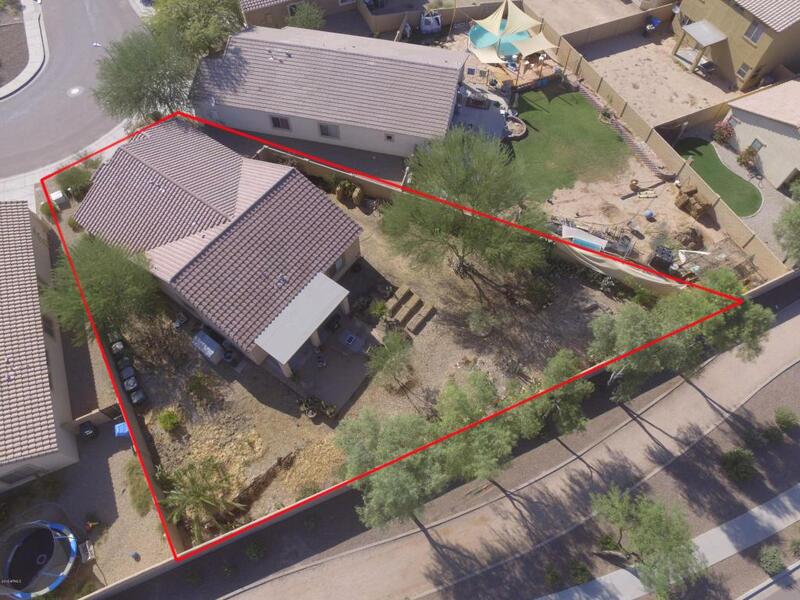 Welcome to Laveen where rural meets suburban living! This compact gem feels open and spacious on a larger lot. The lot offers space you can enjoy- in your backyard! New wood-look tile has replaced all carpet. Custom decorative paint offers a soft, peaceful, welcome-home feel. With separate formal area and large great room/family area you can relax, entertain and enjoy life. Move in and settle into your new life. Exterior painted in 2016, AC and kitchen appliances new in 2009. All bedrooms have ceiling fans and walk-in closets.Mature fruit trees: citrus (Arizona sweet, grapefruit, tangerine, Meyers Lemon, Kalamancy) pomegranate, fig, and variety of desert trees. Move in today and settle into your new life. Welcome home!